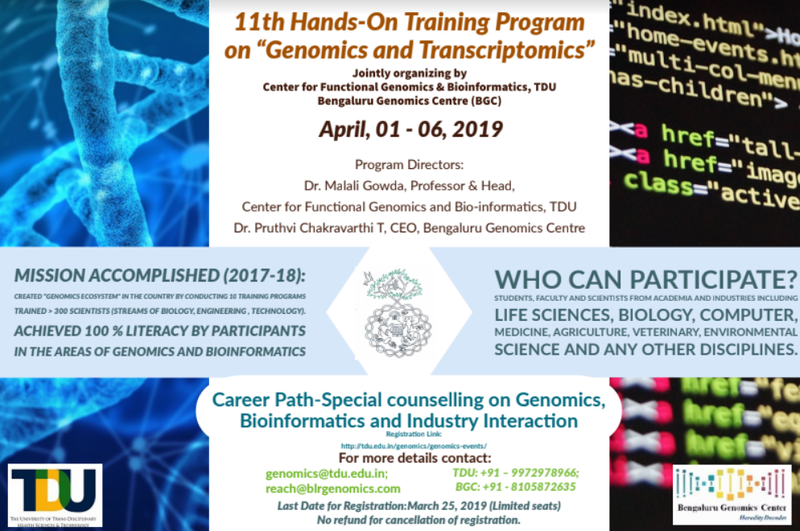 Registration open for 12th Advanced Training on Whole Genome Sequencing and Analysis, which will take place from 20th May 2019 to 22nd May 2019. Click here to know more. 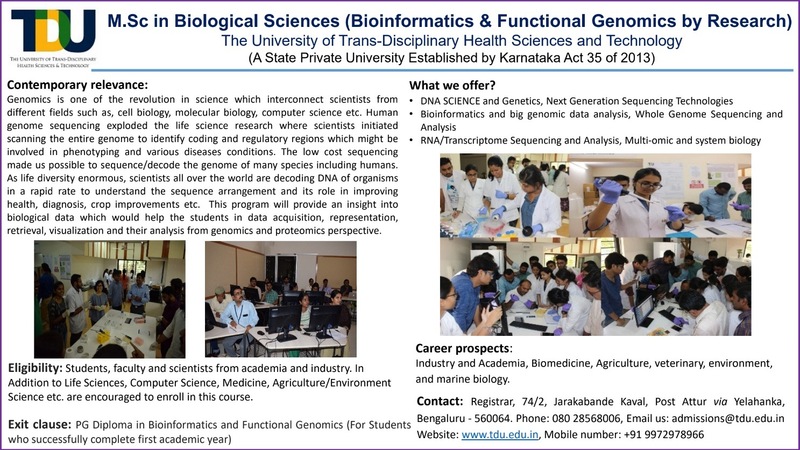 Admissions open for 2019-20 for MSc (Biological Sciences) - Bioinformatics & Functional Genomics by Research. Click here to know more. 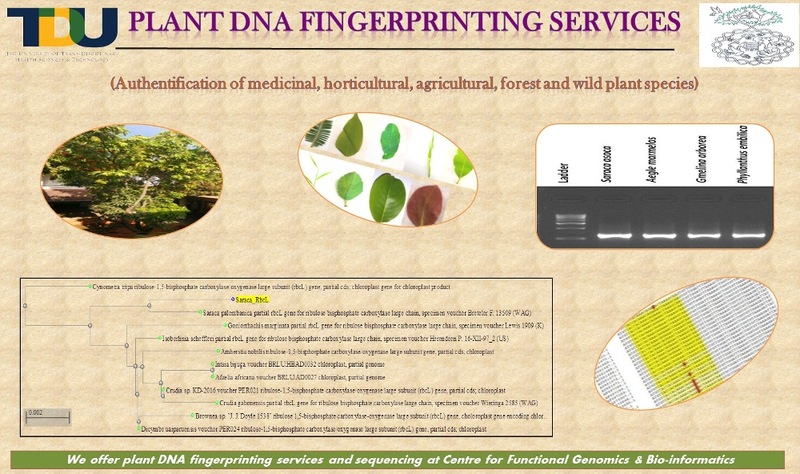 CFGB now offers Authentication of Medicinal Plants using DNA Fingerprinting technique. Click here to know more. 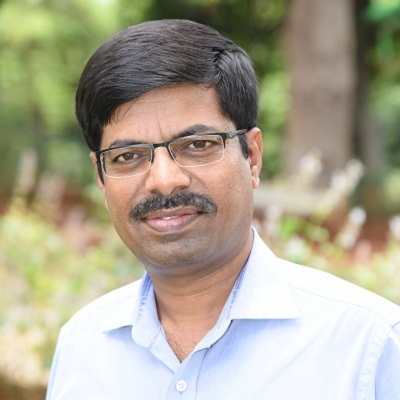 We are proud to announce that Dr Malali Gowda, Centre Head, CFGB has been recently awarded the Environment stewardship award 2019 by New England Biolabs (USA) Passion in Science Award in recognition of community based reforestation carried out in barren landscapes. 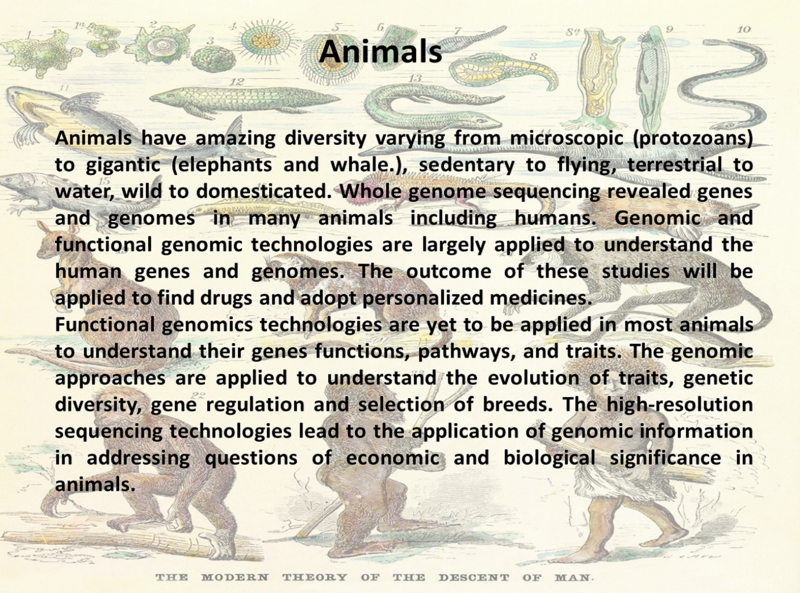 Recent advances in DNA sequencing, molecular cloning, and gene editing helped remarkably in understanding the biology of life forms in our nature. 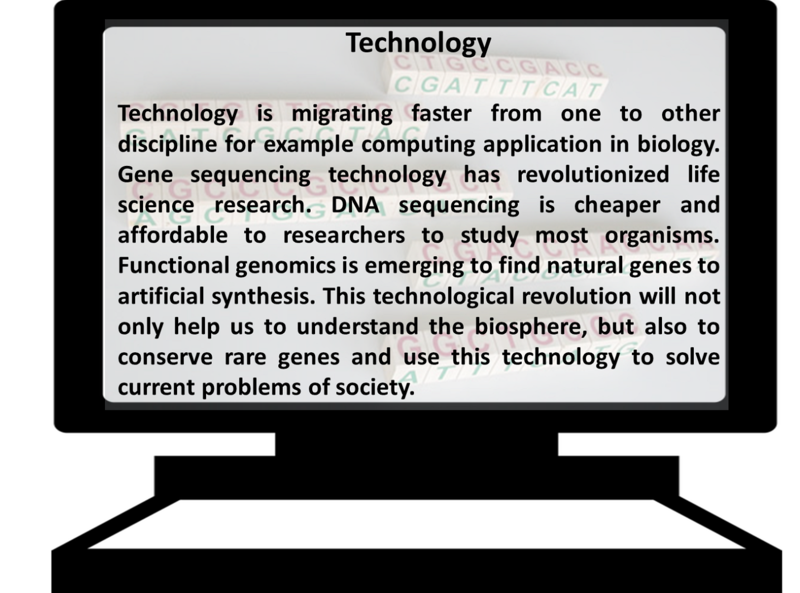 Reduced cost and increased speed of DNA sequencing have led to rapid growth of genomics. Functional significance of genomic elements (genes, RNA, proteins, small molecules and phenotype) are still being unravelled in many organisms. 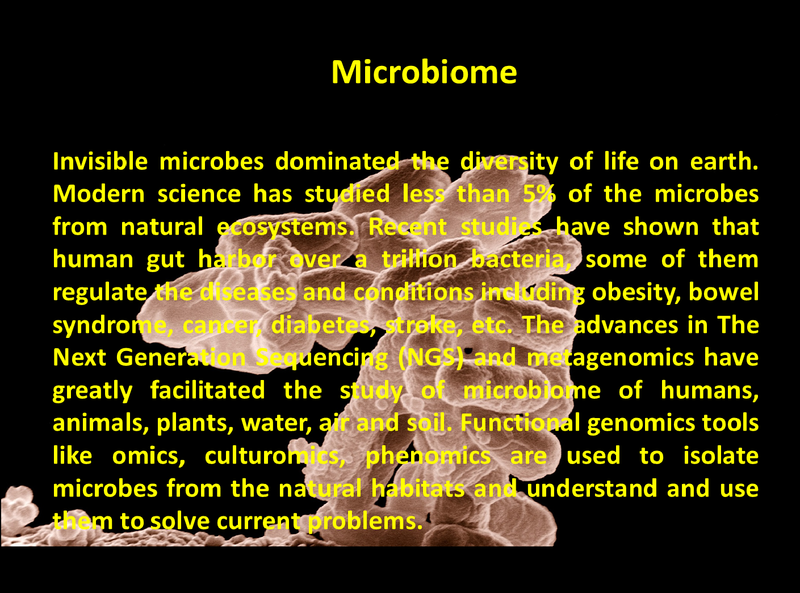 The data coming out from large-scale functional genomics studies need to be stored, analyzed and interpreted. This requires a high-end computing facility and data center to cater towards the scientific community. 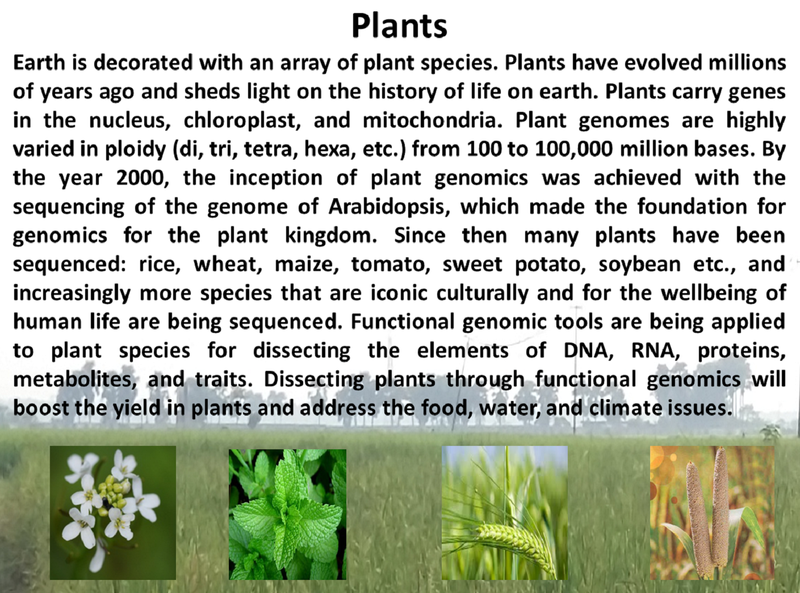 India being a country having the richest biodiversity hotspots in the world, there is huge scope to decode genomes, understand and harness functionality of biodiversity through functional genomics and bio-informatics approaches. Our center aim to carryout large-scale studies in relation to conservation and traditional medicine. The event will be held from 1st April 2019 to 6th April 2019 at the TDU campus in Bengaluru.